When you’re staying at a hotel domestically or abroad, your guest stay often includes a few additional amenities. These extra services or products are given to hotel guests at no extra charge and can broadly include such items as shampoo, conditioner, body lotion, soaps, specialty candies, and the like. Amenities can also refer to a service like a printing station in the hotel lobby, access to a hotel pool or spa, or even free parking for hotel guests. Most hotels in the United States offer the basic amenities like soap and toothpaste, free coffee and perhaps a continental breakfast, and some discounts to local restaurants, bars, and entertainment venues for guests of the hotel. 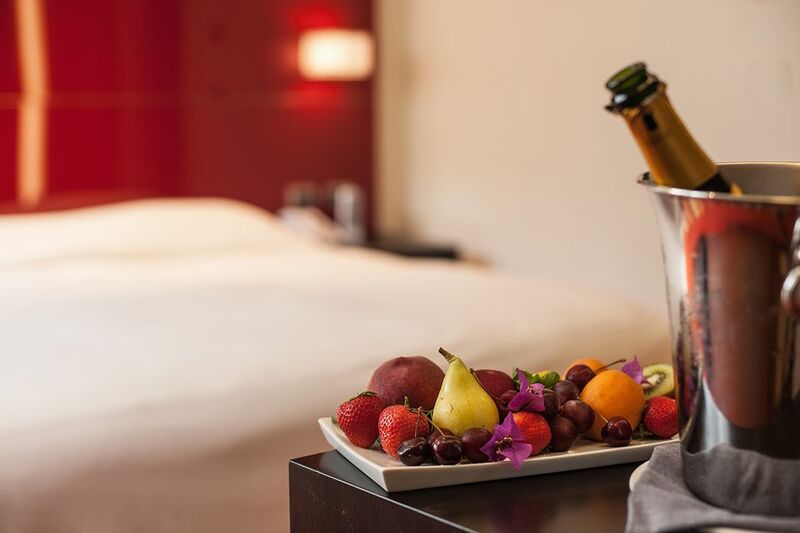 However, depending on how deluxe the hotel suite is, you may receive even more of these extra surprise and delight treats. In a 2014 poll by the Huffington Post, the publication determined that the top 10 amenities offered by hotels, according to hotel guests, are complimentary breakfast, an on-site restaurant offering guest discounts, free internet and Wi-Fi, free parking, 24-hour front desk service, a smoke-free facility, a swimming pool, an on-site bar, air conditioning throughout the building, and coffee or tea in the lobby—in that order. Most hotel rooms offer a standard level of service including a bed, a mini-fridge, a shower and bath, and air conditioning (if you’re in America), but anything in addition to these standard price points are considered amenities and used as selling points between differing hotel chains. Hair dryers, ironing boards, televisions, in-room internet access, ice machines, and towels, though typically included in most hotel rooms in the United States, are in fact considered amenities. Ovens, stoves, kitchen sinks, refrigerators, microwaves, and other kitchenette items are rarer in modern hotel rooms, though most do at least come with some way to keep your leftovers cool. In recent years, indoor pools, gyms, and other means of exercise on-site are become more and more popular, with long-established hotel chains renovating their locations to include these deluxe amenities to draw even more guests to use their accommodations. Other hotels now even offer recreational activities like tennis, golf, and beach volleyball to their guests. Although amenities are obviously not necessary to a successful night’s rest, they can certainly help ease your stay. Most hotels list their amenities online, but you can always ask your booking agent before you rent a room for the night. If you’re simply looking for a nice hotel to rest for the night and don’t plan to arrive early or stick around late the next morning, there’s not much you’ll need in the way of amenities, so you can often save a few dollars by booking a hotel with fewer extras—although these hotels say amenities are not included in the price, the more amenities a hotel has, the more they can justifiably charge guests to stay with them. If instead you’re booking far in advance and plan to stay multiple nights or base your vacation on the amenities featured at a particular hotel, inn, lodge, or other accommodation, you will definitely want to know exactly what’s offered both in the room and at the hotel facility itself.